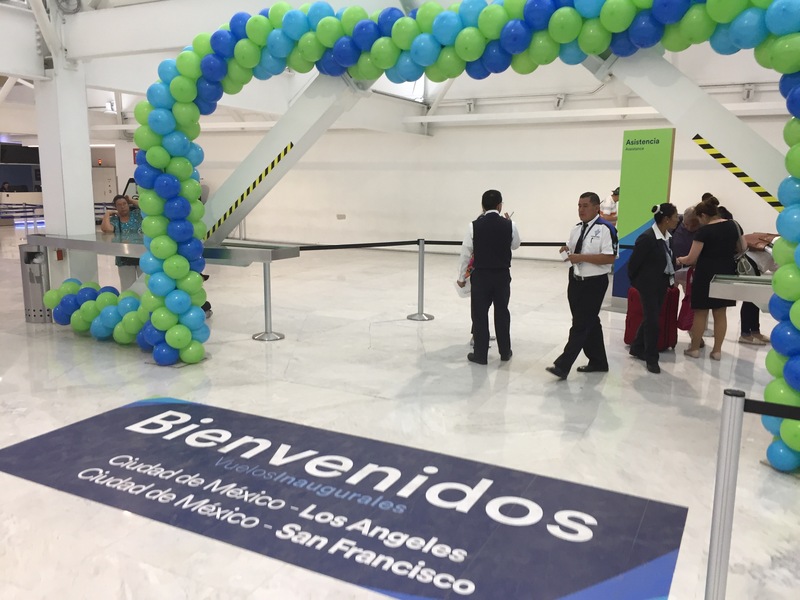 Alaska Airlines MEX-SFO Inaugural Flight | No Mas Coach! 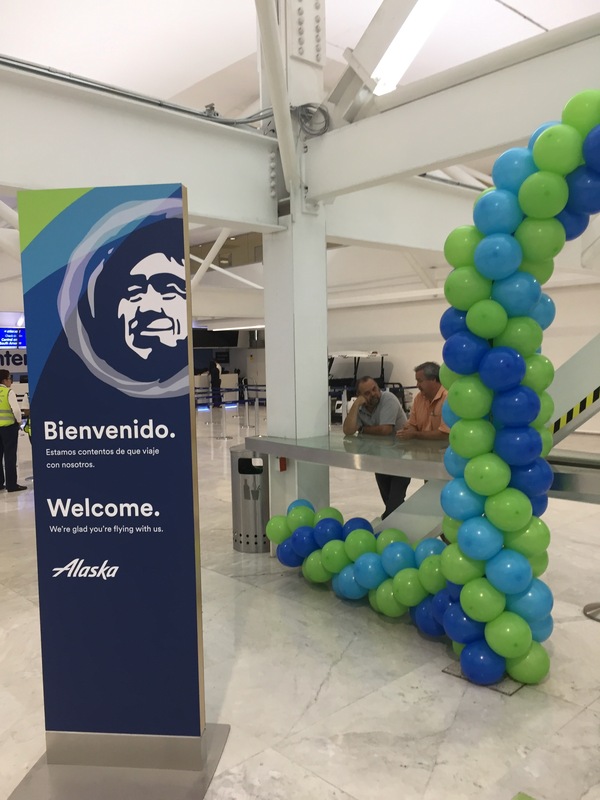 Alaska launched their inaugural service to and from the Mexican capital as of August 8. They’ll be launching twice daily service to and from LAX, once to SFO and once to San Diego. The flight from Los Angeles will turn around and become the flight back to San Francisco. That’s exactly what we did, and with only a 75 minute turn, we managed to squeeze through customs, immigration, check in, security, and boarding! Phew! If you didn’t have a chance to read the post we did about our flight down from LAX-Mexico City, give that a read. It was a perfectly adequate flight and is a good starting point for Alaska to offer their service in compettion with Aeromexico, Delta, United, American and Volaris. Alaska is operating out of Benito Juarez’s Terminal 1 (the old terminal). Terminal 2 (the new terminal) houses all of Delta and Aeromexico. Interestingly the rest of SkyTeam is still in Terminal 1, so I wonder how long that’s going to be before they change. There was a separate line for Primera Clase and Elite, which not everyone was following. The desk attendants kept saying “estas en primera clase? 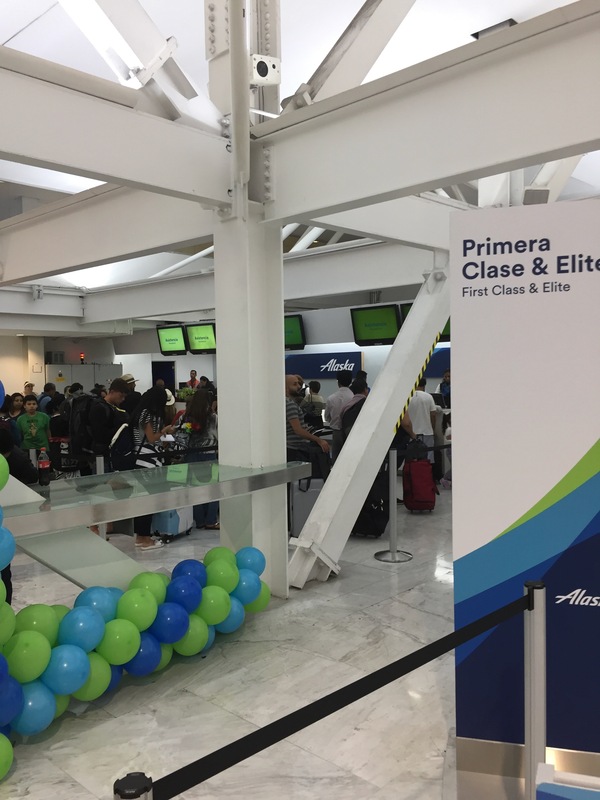 Estas Elite?” Ah, tu fila esta alla?” In other words… Are you 1st class? Are you elite? Then your line is over there. I know that in a lot of countries, the first class/elite lines aren’t respected, so good job Mexico City staff! Now, try to follow along with this one. We originally booked LAX-MEX-LAX-SEA with a 3 hour layover. We didn’t want a three hour layover. If we wanted to get home earlier we could change to the San Francisco flight and connect to Seattle. It would get us in 3 hours earlier and we could get some sleep tonight. The SFO flight was leaving at 3:15 and we landed at 2:00. If we wanted to make a change, we would have to clear customs, clear immigration, buy a new ticket, get our new boarding pass, clear security, and get to the gate, all in time for boarding. First ones off the plane, we jetted straight for immigration. Doors wouldn’t open. Bang on the doors to try and get someone’s attention. No one answers. Bang louder. Finally, someone looks our way and opens the door. Make it through the various escalators up and down to the immigration hall. “How long are you staying in Mexico City?” “45 minutes… we’re leaving right back to the USA.” QUE?” It’s the same puzzled look that we always get when we do an international mileage run. A few pleasantries and short explanations and we were on our way. We headed to customs control. Typical Red light/Green light situation. 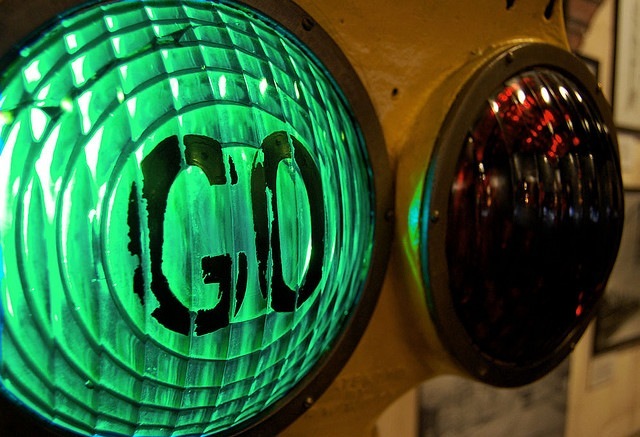 Green light. PHEW! Next, leave the secured area and up to ticketing. Buy ticket on phone while waiting in line for first class check in. DONE. Get boarding passes printed from gate agent. Still 40 minutes to go before takeoff. ALMOST THERE. App alerts us that boarding has started, oh crap. Security checkpoint in Mexico; laptops out. Shoes ON. No problems. Done. 28 minutes to go before takeoff. Turn left, and there we have it. The long line of people. Must be the Alaska flight. Go up past the line “First Class checkin?” “Right this way sir…” On the plane with 16 minutes to spare. The same crew we just flew in with is now welcoming us back with smiles and the promises of a comfy flight and plenty of drinks to calm the nerves. Ah, the joys of an international same day turn mileage run. So, will the food be more Mexican than the way out? 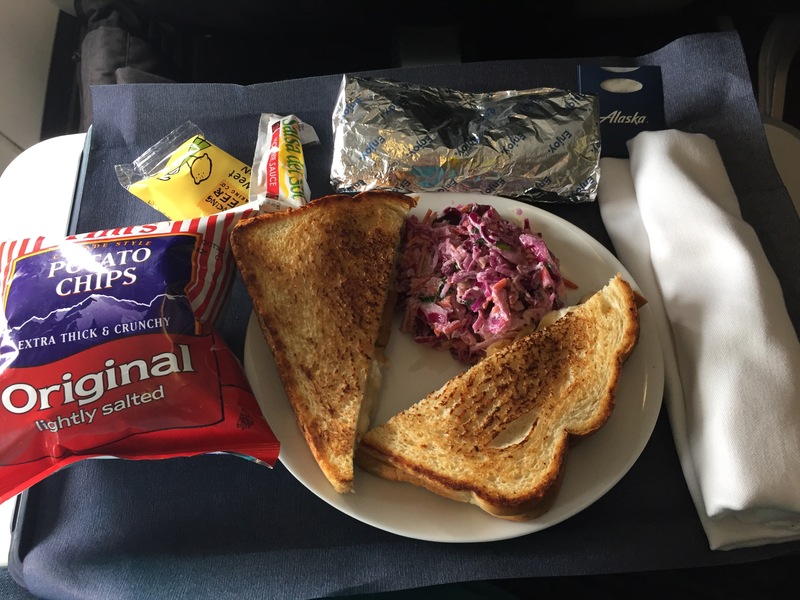 Will Alaska have upped their game and provided some regional cuisine to delight the taste buds? Think again. Turkey, Cranberry Sauce, Brie, and Caramelized Onions. Hooray! But wait – what’s the foil thing that looks like a burrito? OMG IT’S A BURRITO! WE HAVE IT! 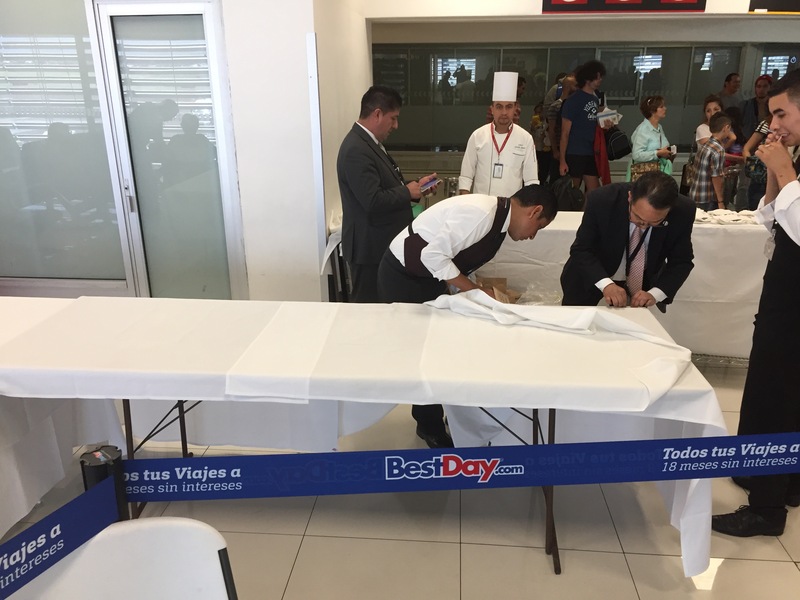 WE HAVE MEXICAN FOOD ON THE MEXICAN INAUGURAL FLIGHT! YAAAAAAAAAAAAAY! 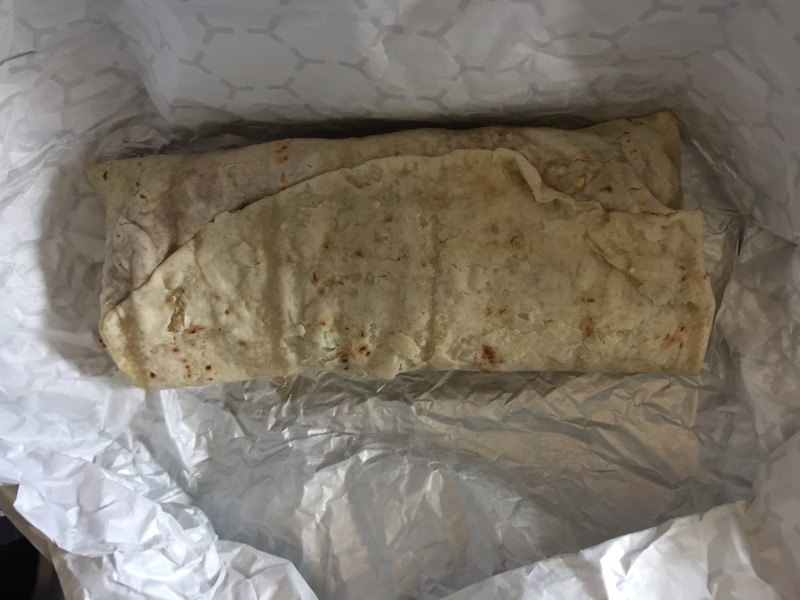 I will say that it was an incredibly tasty sandwich and burrito. Nice work Alaska, nice work. The rest of the flight we spent just catching up with the flight attendants and sharing war stories. I love finding the same crew on flights, and especially when they’re actually friendly. It’s a rare opportunity to actually create a friendship with someone that you’ve seen on many flights and worked with. We exchanged information, and I know that next time we’re laying over in a city, we’ll go grab a beer and hang out. It was the second time that we’ve flown with both Felicia and Louie, and I can’t wait to have the opportunity to do it again. Surprisngly, the flight was pretty full. As we walked back through coach we saw maybe only a dozen or so seats that were empty. For me, that’s a shock, especially on the RETURN segment of an inaugural flight. Most times those planes come back half empty because the demand just wasn’t there. I can imagine that if Alaska keeps up the marketing campaign, they’ll have full planes on all their new routes. Are you going to be flying Alaska to Mexico City? Let us know below!